the last thing i need is another project. seriously. first up, two candle sticks. the top section and bottom section are metal but the middle portion is plastic. which, you can’t really tell unless you pick them up. i’m thinking about silver leafing them just to freshen them up. though they are fine in their current state. my favorite part about them is this little hook towards the top! i already have several ideas on what to hang there … especially for christmas! these were $1 a piece. two vintage pillowcases. i’ve been on a vintage sheet kick lately. i’m have several quilts i want to make and have some christmas ideas that involve vintage sheets. $1 for the pair. now i just need to buy some spare time. anyone know where i can get some? i’m probably as shocked as you are about this next purchase. i bought an afghan. i’m typically not a fan of this style of blanket, but this one spoke to me. and the price was right … under $3!! it’s in great condition and was super clean. i’m thinking about redoing one of my guest rooms in purple. and i think the pop of royal blue will look just amazing! i also got this ceramic leaf with the thoughts of painting it white and using it as a candy dish of some sort. maybe evening hanging it on the wall? love the shape and style, just not the color. it was $1 too. and last but not least, these two lamps. $2.50 a piece. they need some funky shades and a good paint job. but i love their form and style. and they are the perfect size for a little desk lamp. i’m thinking about creating lampshades like these. so, i’ve been waiting to host a weekly linkup party. and i thought it would be fun to call it ‘thrifty thursdays’. you could share your finds, ideas, and/or projects created from your thrift store purchases. the weekly posts would then become a great resource to inspire future projects. what do you think? would you participate? we’ll give it a try next week and see how it goes! Awesome deals!! I would totally love to play at your link party!! YES! Love that idea for a linky party. I make the rounds of the local thrift stores every Wed. – so I’m in ! Oh Loo Whooooo….please just move to Iowa. I love to shop at Goodwill and have no one to do it with. sniff sniff pout pout. I just painted a lamp today that I bought at my FAVE Goodwill on Saturday. I’m going to put it on top of my fridge…I know, I’m such a rebel. 😉 I’m totally linking it up to your party next Thursday. Those finds are awesome. I love those candle stick holders–$1 a piece is amazing! And the idea you have for lamp shades is really cool. Can’t wait to see what you do with everything. Ohhhh a new partay! LOVE the theme! Love your finds! Can’t wait to see what you turn them into. The colors of the afghan are I think will pop. Nice finds, Michael! I think we all have a little inner Granny that appreciates afghans, especially now the fall chill has arrived! 🙂 Will definitely be linking to the party–this gives me a reason to post about my recent thrifty finds. Yay! 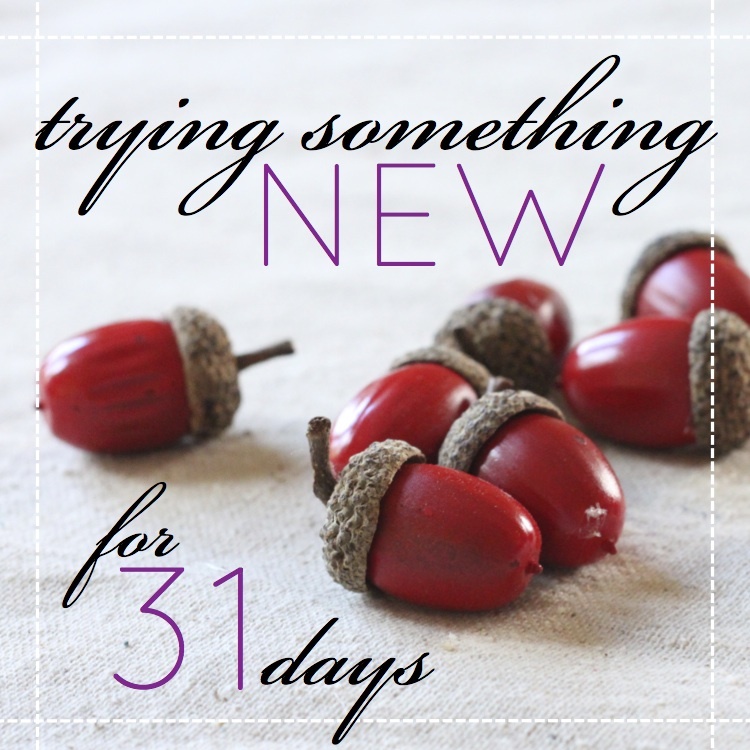 I’m one of your newest followers and love the idea of your new link up party!